Sweety makes traditional Asian-flavored mochi. 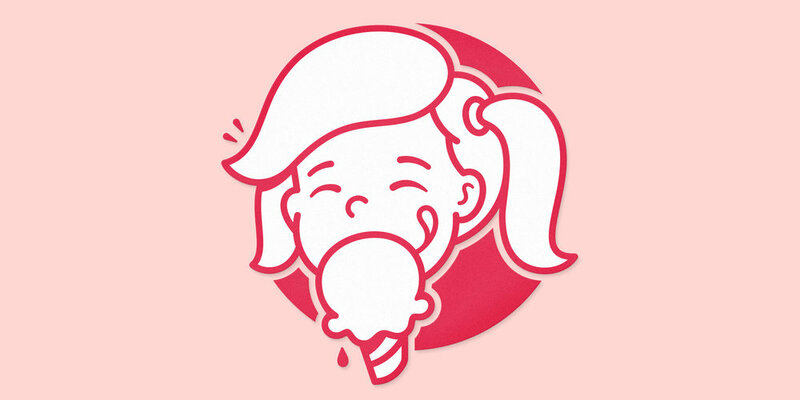 They hired me to update the ice-cream-eating little girl that’s been a prominent part of their logo since the company’s early days. The original Sweety logo was super cute and full of personality, but when the company updated its packaging, it no longer fit the brand’s look and feel. 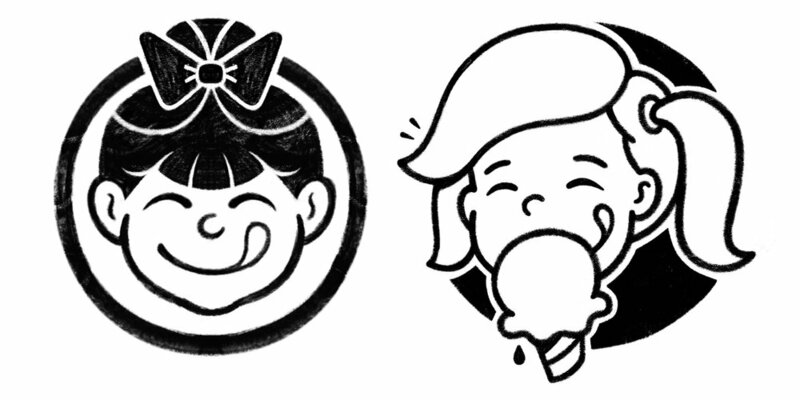 It was a lot of fun to sketch a little kid eating ice cream :) The original little girl was so cheerful and full of anticipation, and I wanted that to show up in the concepts I designed. Once the final concept sketch was dialed in, I refined the logo by vector tracing it in Adobe Illustrator.